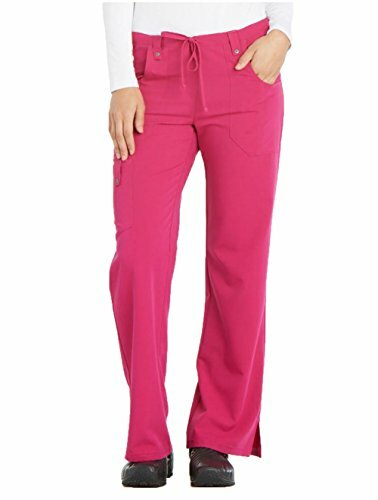 The Dickies Drawstring Flare Leg Pant features:. Original Junior Fit. Adjustable drawstring at front waistband. Belt loops with decorative logo eyelet snaps. Elastic at back waistband. Front pockets have seams for added detail and multiple pencil loops adorn right front pocket. Side cargo pocket includes a self loop with a logo eyelet snap. Double needle stitch details. Seam at back leg for flattering shape. Back Pocket. Side vents to fit easily over shoes. Length: 30_", Petite: 28". Available sizes: XS-3XL, Petite: XS-3XL.